Arrow’s third season continues Wednesday night with “Left Behind,” as we see what happened after what looked like the death of Oliver Queen in the midseason finale. With his team “left behind,” what is next, and more importantly… what is next for Arrow as a show? Last week, we looked back at the first half of Season 3 so far… now, the roundtable continues as we explore the second half of Season 3. 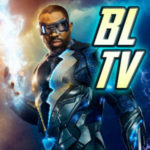 Participating in this roundtable are KSiteTV & GreenArrowTV webmaster Craig Byrne, Arrow reviewers Matt Tucker and Derek B. Gayle, and GreenArrowTV contributor & KSiteTV reviewer Stephanie Hall. As with the previous roundtable, this will be split into multiple pages. 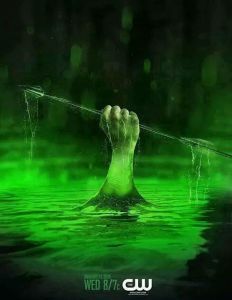 How do you think Oliver Queen will make it back? 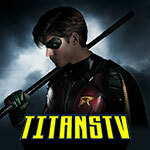 STEPHANIE HALL: Because they’ve dropped hints with Malcolm referencing “parts of the world where death is an illusion” and Ray mentioning a “digital Lazarus,” a resurrection via the Lazarus Pit is not out of the question. The writers managed to make the Mirakuru “superpowers” more based in science than fiction, so I think it’s possible to take this approach with the Pit too and keep it within Arrow’s realm of believability. Part of me wants to see this come as a surprise to Oliver, and part of me wants to see that Oliver set his death up with Malcolm or Maseo as a way to trick Ra’s. DEREK: Lazarus Pit is still the easy/obvious answer, but I’m wondering if they’ll surprise us and use it as a misdirect. But if it’s not…well, it’d still have to be something sort of magical, right? So, might as well just use the Pit. Unless we end up seeing Bionic Arrow running around. CRAIG: A Lazarus Pit is the frequent answer, but what if Malcolm taught Oliver to “cheat death” the same way that Malcolm himself did at the end of Season 1? Both of them had similar stab wounds at that time, too, didn’t they? I think Stephen Amell may have disqualified “Lazarus Pit” as an answer recently, but I could be wrong. One advantage to the Lazarus Pit, though, is that it might be a way to heal all those scars Oliver Queen has, which would save the makeup people quite a bit of time. MATT: I know the Lazarus Pit is the popular theory, but it could be as simple as Oliver wasn’t actually killed. The cold could have slowed the bleed from his wound, and people have certainly survived falls from height. We’re not sure just how far down the ledge was from the top of the mountain. That said, they made a specific point to allude to Ra’s al Ghul’s extended lifespan. Perhaps this is from the Lazarus Pits, or maybe it’s something a bit more scientific. Maybe something related to the bioagent China White stole in the Hong Kong timeline. Or somehow related to the lab that built it. 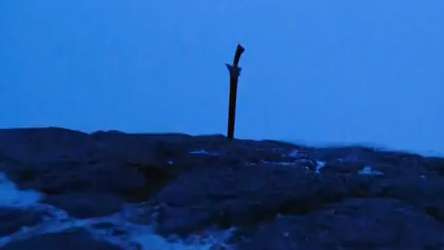 One of the questions has been who is the person seen in the previews that pulls Oliver from the mountain. Is it Malcolm? Is it Maseo? Though it seems like a man, or at least someone larger than her, but what if it’s Tatsu and that’s how we get Katana in the present. I’m going to go out on a little bit of a limb here. I’m not sure if I’ve mentioned this publicly or in some of our internal discussions, but I have this strange feeling that Oliver is going to come back … and be an adversary of Team Arrow!